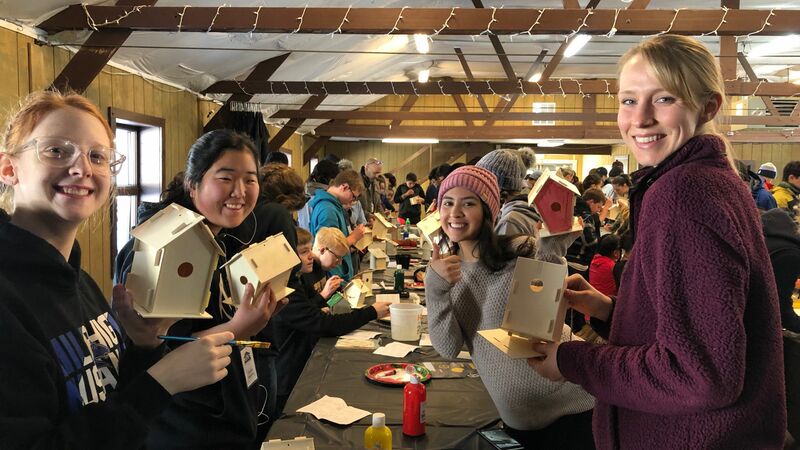 Teen Prayer Summit: Making Glacier View Ranch Home for the Weekend » A record-breaking 144 teens, 39 sponsors, and 20 staff and volunteers trekked up to the snowy mountains last weekend to enjoy a Christ-filled retreat led by the Glacier View Ranch staff, and guest-speaker Tyler Morrison. 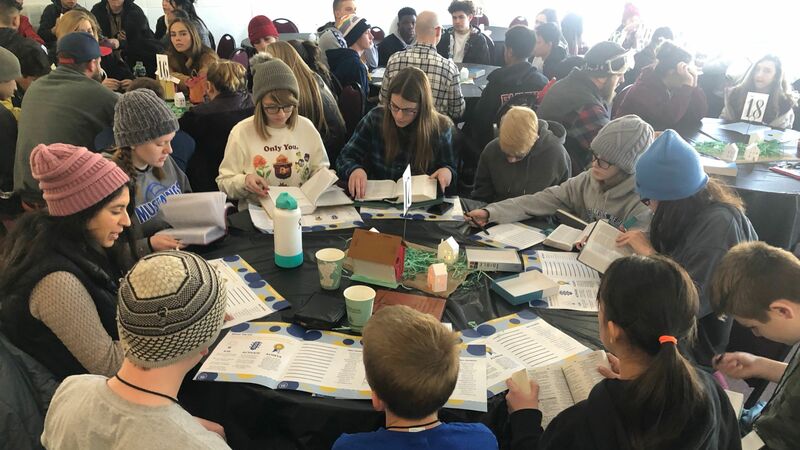 Youth Department staff member, Shannon Werner, noted this was the largest Teen Prayer Summit she has seen in her four years working for the Conference. Williams, RMC prison ministry coordinator, had the song recorded by a friend and delivered it to Brandon’s grateful mother. Serving 50 years in prison, Brandon was eventually baptized into God’s family. If Jesus were on earth today, we would undoubtedly find him in the prisons and other unthinkable places, talking and dining with criminals and outcasts. “I have not come to call the righteous, but sinners,” He said after being criticized for eating with tax collectors and sinners. His contempt was reserved for Pharisaical hearts, not for those who recognized their need of Him. For the last five years, volunteers have been at Crowley County Correctional Facility. When the ministry first began, there were weeks when not one of the incarcerated men would show up. Instead of giving up and going home, they stayed to read the Bible and pray. Their prayers were rewarded. Now they often have 75 men attending. This month, 95 men showed up. Because most church members don’t know anyone in jail, prisoners remain hidden from their lives. According to LifeWay Research in a new phone survey, 1,000 Protestant senior pastors say they “lack the training or finances to run an effective prison ministry.” Prison ministry work is primarily done informally by individuals in the congregation. Williams wants to change that. His goal is to develop prison ministry leaders at each of the churches in the Rocky Mountain Conference. The Conference will help with the nuts and bolts and the legal aspect of being involved in prison ministries. 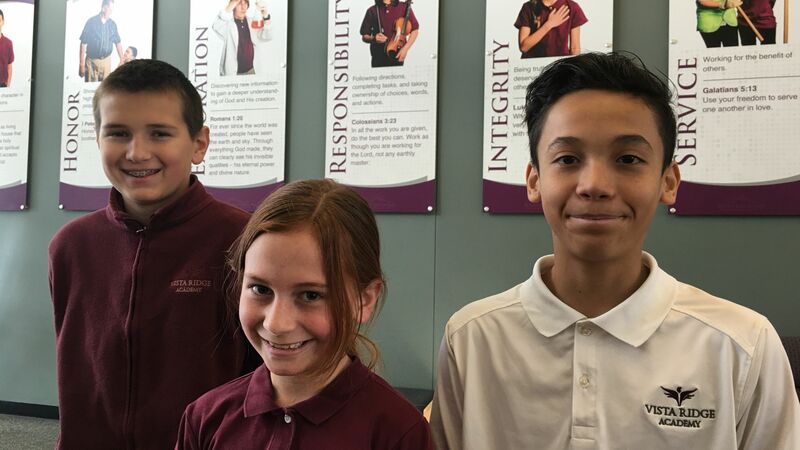 Student Ambassadors Fill Vital Role at Vista Ridge Academy » “Welcome to Vista Ridge Academy. We are glad you are here” is the greeting you may receive as you enter the academy for an Open House. The greeting is from a Student Ambassador, a student from Grades 5 through 8, who can apply for the Student Ambassador program. If accepted, they become responsible for greeting, guiding and giving tours around the campus to visitors. Quick to respond tp questions, ambassadors look you in the eye, shake hands, and speak out clearly. They are well informed about the school, what they are learning and where they are headed. While Vice Principal Marsha Bartulec is available for questions posed to the students, she does not prep students on what to say. She wants the students to lead the tours. 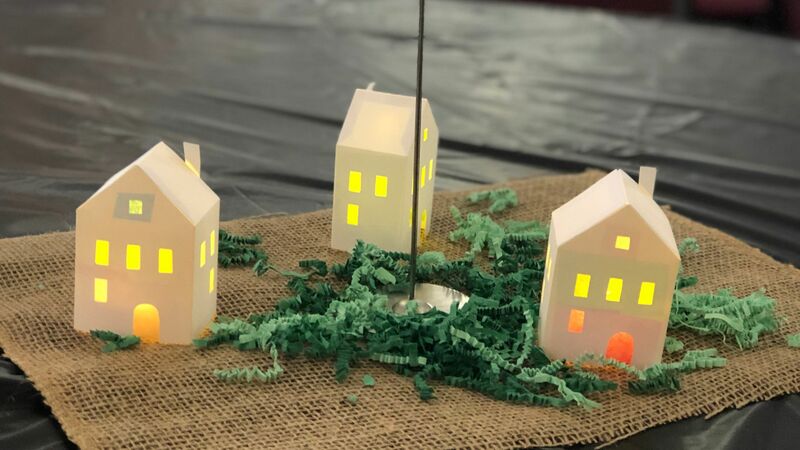 The Student Ambassador program at Vista Ridge Academy reflects a Project Based Learning activity because as many as five student goals and essential project design elements are incorporated. Students have a voice and a choice. They have an authentic task, receive critique and feedback and reflect after the experience. “We have more than 50 tours each year. Ambassadors support an authentic need. They are not just our students; they are our partners,” says Bartulec. Community Leaders are invited to speak with the Ambassadors once a month and cover topics including, effective communication, serving the community, customer service and leadership. This year, guest speakers include school resource officer Thoen, Boulder Church Senior Pastor Japhet De Oliveira, Chick-fil-A owner Barrie Goettsche and marketing director June Werner, and Avista CEO Jillyan McKinney. Student Ambassadors also participate in service projects throughout the school year. Campion Cougars Play at Pepsi Center » The Campion Varsity basketball teams played on a professional NBA basketball court at the Pepsi center against Mile High Academy after classes were let out early on Thursday, January 17, for this annual tradition. 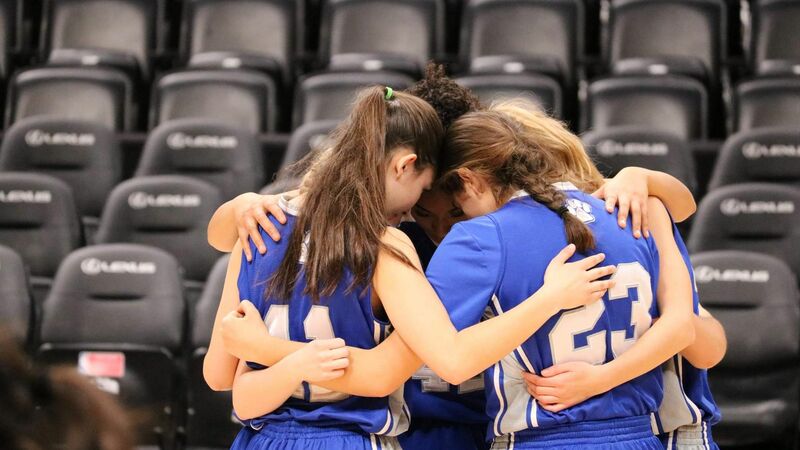 Although both Campion teams lost, they played their hardest, showed good sportsmanship, and suffered no injuries on any of the teams, an answer to prayer. After the game, everyone watched the Denver Nuggets play the Chicago Bulls, with the Nuggets winning the game. Last week's article, "A Centenarian Looks Back at a Life of Passion," used the name "Darlene" instead of "Marcella" in two instances at the end of the article. We apologize to her and our readers. Twin Peaks Church » A music concert presented by Ryan Day will take place on Sabbath at 5 p.m., January 26 at Twin Peaks Church. The church is located at 9696 Paschal Drive, Louisville CO 80027. Dwight Nelson at Campion » "Come Alive" is the title of the seminar to be held at 6:30 p.m. on January 30 and 31 with Dr. Dwight Nelson. If you'e lost hope or feel lifeless, this seminar will teach you how Jesus can help you come alive. The church is located at 300 42nd Street SW, Loveland. Free refreshments and childcare. Campion Church/Academy Snow Wheeling Invitation » Northern Colorado off-road enthusiasts, come join us on January 27 for a family-friendly day of snow-wheeling in the mountains. We welcome those who may have never driven your 4x4 in the snow and seasoned off-roaders alike. We will meet at 8 a.m. in the Campion church parking lot for a driver briefing, worship, warm drinks, and donuts. Plan to leave Campion and head to the trail at 9 a.m.. This event is an initiative to mentor and connect Campion Academy students with members of RMC. Bring a lunch to eat on the trail, dress warmly, and be ready for winter conditions. For more information, contact Esequias Perea (817) 944-5733. AdventHealth University » The Denver site of AdventHealth University seeks a Nursing faculty member to teach full-time. Qualified person with an MSN, DNP/PhD in Nursing preferred. Simulation experience and Med/Surg practice background prreferred. To apply, visit www.adventhealthcareersgreaterorlando.com and search for Job #274310. This position is located in Denver adjacent to Porter Adventist Hospital. Mile High Academy » Immediate openings are available for substitute teachers for all grade levels at Mile High Academy. Applicants should have experience working with children and be able to maintain a positive classroom environment while carrying out the teacher’s lesson plans in classrooms as assigned. High school diploma required. Bachelors or some college preferred. Days/hours are on an as-needed basis. For more information, please contact Brenda Rodie at 303-744-1069. For an application, send an email request to [email protected].